New YouTube Series from Gene Autry Entertainment "Presenting.....Gene Autry"
America's Favorite Singing Cowboy, Gene Autry was born on September 29, 1907 and we think it is worth celebrating every year. 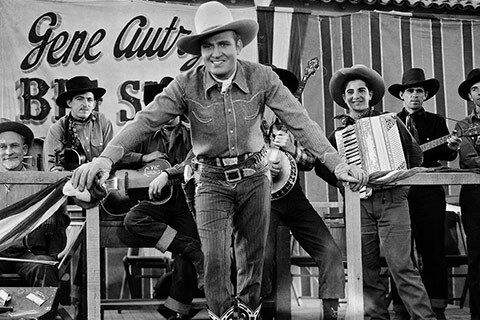 We will have an eleven day count down to his 111th birthday on the Gene Autry Official Instagram page with fun photos and facts about America's Favorite Singing Cowboy. Not on Instagram? Don't worry, we'll share the info on our website here. A special general adult museum admission of just $9.29 on Saturday, September 29th. Complimentary slice of birthday cake for all visitors served in the Crossroads West Cafe. Receive a $9.29 discount on new memberships for the Autry Museum of the American West. Learn more about museum membership benefits here. Receive 11% Off all Gene Autry merchandise in the Autry Museum Store. Members of the Autry Museum will also receive their membership discount as well. Purchases may be made in person at the Autry Museum Store or call (323) 495-4228. While visiting the Autry Museum, be sure to see the new cameo exhibit case Always Your Pal: Gene Autry and His Fans featuring art Gene's fans created for him.